Today, the issue of being misled by psychics is by all accounts deteriorating. I am over and over again drawn closer by individuals, some of the time in tears, who have lost a large number of dollars and are pondering what their choices are. This happens to exceptionally practical and regularly proficient individuals; their requirement for help and agony alleviation have driven them to trust corrupt characters who have guaranteed them whatever they wished to listen. Men and women who have broken up with a partner and have been assured that their relationship can be fixed and that the psychic will bring them back together. It often spreads over months and the psychic demands more and more money for esoteric rituals or tools (i.e. amulets, pyramids, crystals, gold coins, etc…). Many people loose their life saving in this way. The second scenario is when an individual seems to encounter a run of “bad luck” and the psychic tells him/her that there is a “shadow” or “curse” hanging over them and that rituals need to be done to clear the problem. Again, the psychic asks for large amounts of money for tools that he/she needs to use and his/her time involved in such ceremonies. In both cases the clients do not get any results or their money back. What happens if the person goes to an attorney is that the attorney will advice them to try to settle out of court and get back as much money as possible, since a judge will almost always rule in the favor of the psychic because such cases are hard to prove. The psychic will bring a good case that they did their best even though they usually verbally and even occasionally in writing guarantee results: They offered a service and fulfilled their part! As a general rule, I also recommend to never pay large sums in cash, but to use checks or credit cards and always ask for an immediate detailed receipt or invoice. How can the person who has been ripped off get any satisfaction? People generally feel embarrassed and foolish and go no further. However, I always advice them to go to newspapers, radio and/or Television and tell their story. Go public in some way to make sure that other people don’t go to that same psychic. I suggest also using the Internet and telling their story there. There are so many way to publish Free web pages and easily submit them to search engines so that the word spreads out. Check the prices to avoid a psychic who charges a lot less or a lot more than others in their class. If a psychic says he/she will fix your broken relationship, take away a curse or change your bad luck, stop! Never go for this. Check if a psychic has a web site, guest book and literature on their background that you can check out before you make an appointment. Avoid psychics with titles such as “Mother”, “Sister”, “Madam”, “Mrs.” who promise to do it all for you. Try to go with a psychic who is not using Crystals, Tarot Cards, or Astrology. Not because you will get ripped off but because the reading may be too general and open to interpretation rather than really about you. Get a recording of the reading. 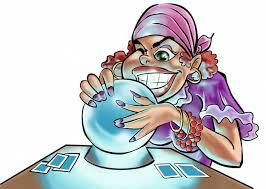 When a psychic promises times, dates and places, be cautious as it’s easy to make predictions and be very specific, but those predictions may never happen. If possible go with someone who has been well recommended to you. Don’t be afraid to ask specific questions during the reading. Feel free to ask the psychic before you start what she/he will do during the reading, how she/he works and what you can expect. If someone tells you that you need to come up with a large sum of money to clear your aura, a dark cloud around you, or bad spirits, or bring your lost love back, GET OUT! Never give large sum of money in cash and always get a detailed receipt.